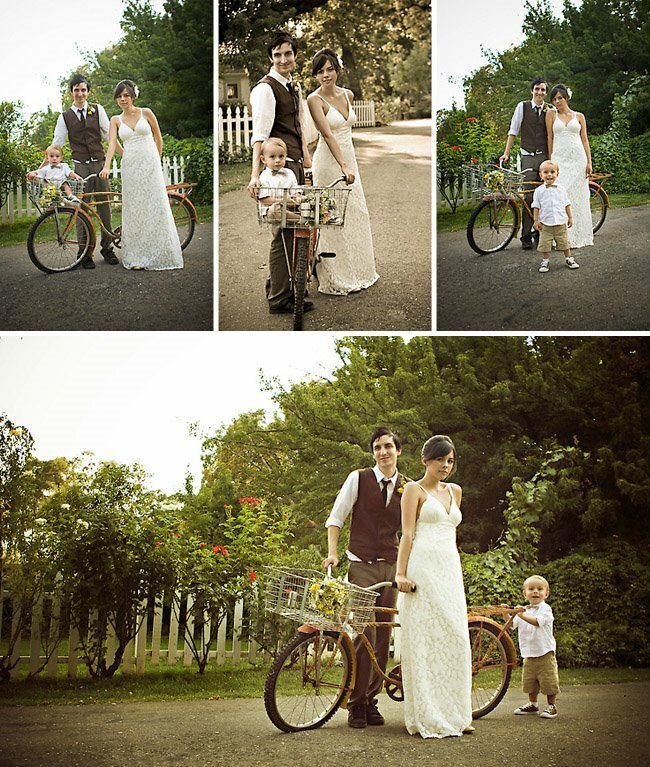 A vintage bicycle and an old beat up truck = some gorgeous wedding photos! 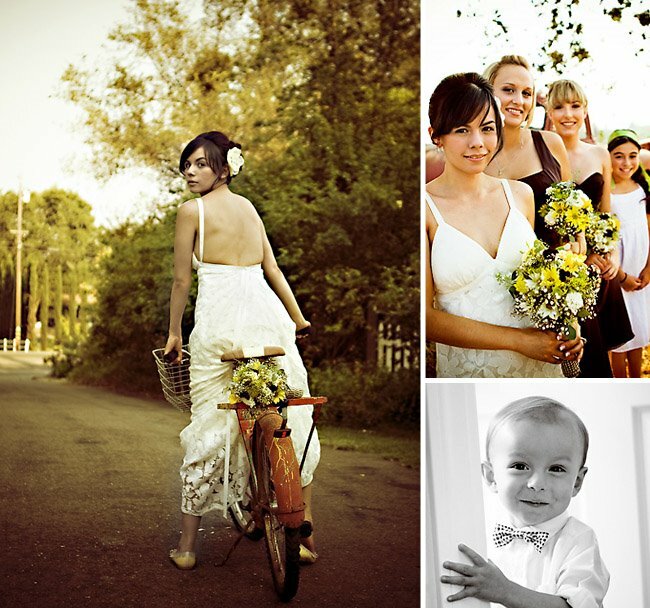 If you’ve been reading my blog for awhile, you know I love bikes at weddings – and this wedding has the perfect vintage touches. 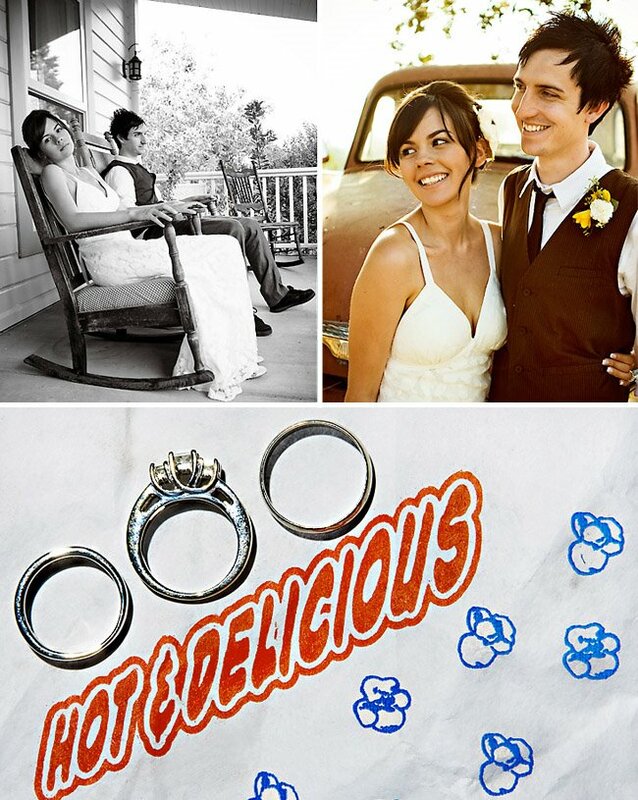 Mia and Johnny were married outdoors in the perfect backyard in Northern Cali. I just love the whole vintage style of these photos. Oh, and the photos of the couple with their son – too cute! 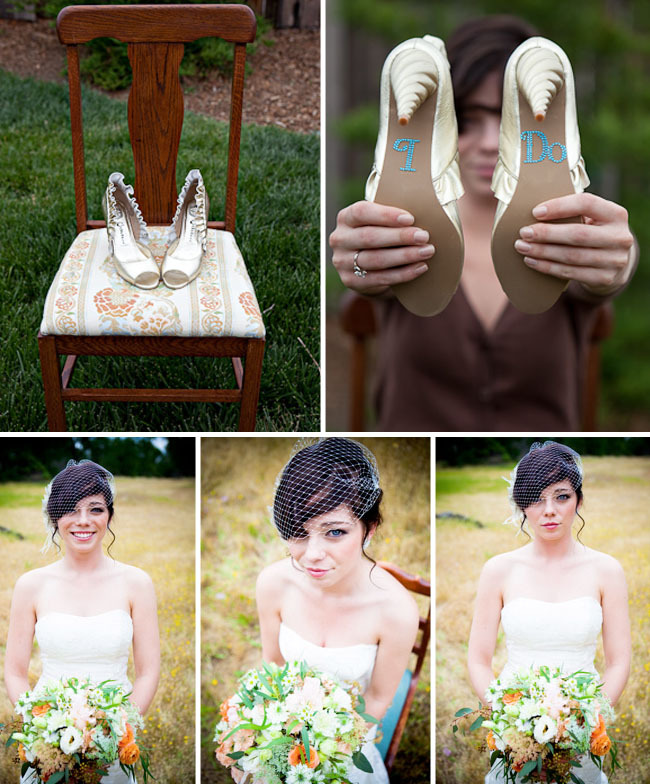 Travis Hoehne is the talented photographer behind these photos. Enjoy and congrats to Mia + Johnny. 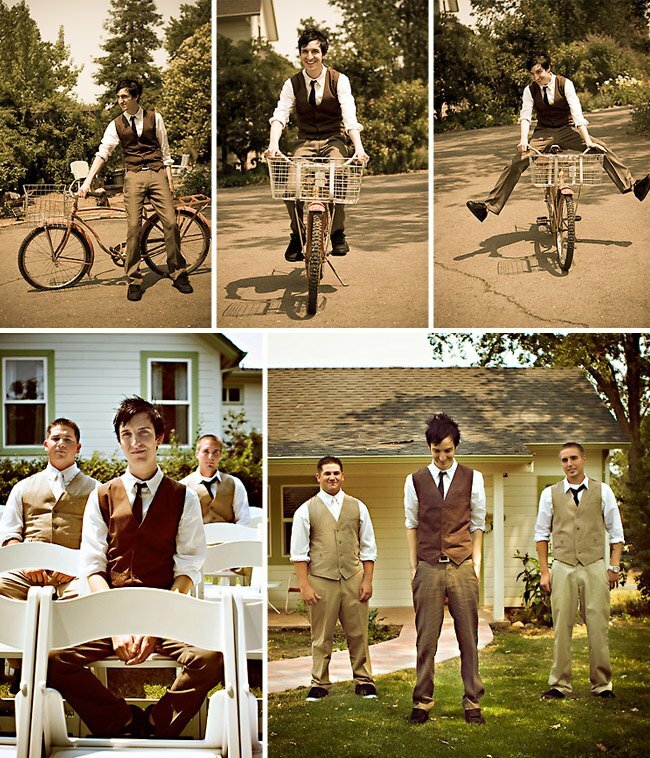 Wow, I love the shots with the bicycle. 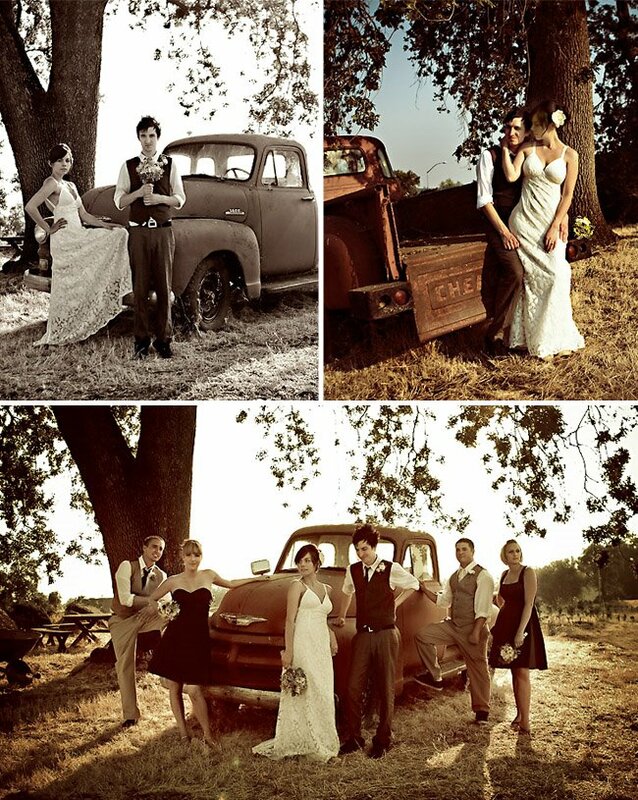 This wedding looked amazing…I am in love with everything, LOVE LOVE LOVE the old chevy truck and bike!!! I love her shoes! Do you know where they are from? so pretty! the couple looks so great and so happy! thanks for posting! 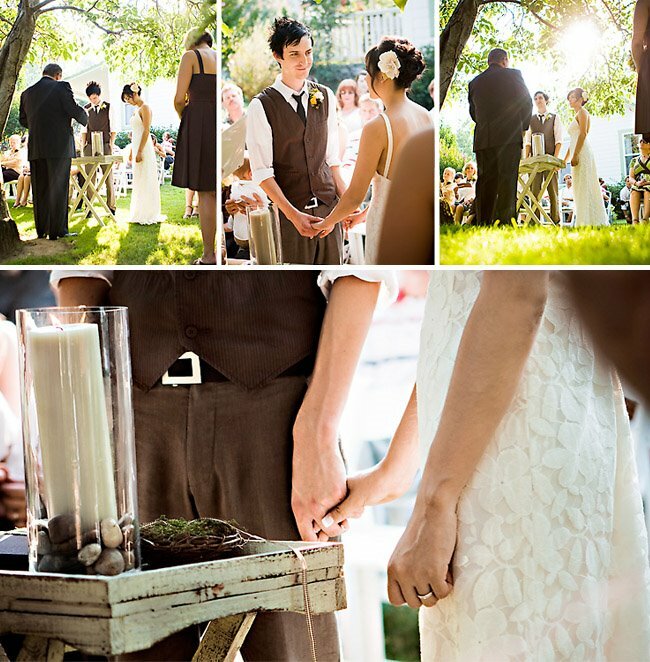 I love the simplicity of this wedding and how relaxed and joyous the couple looks – so refreshing. I want to know where those shoes are from too!!! I think they are perfect. So cute! 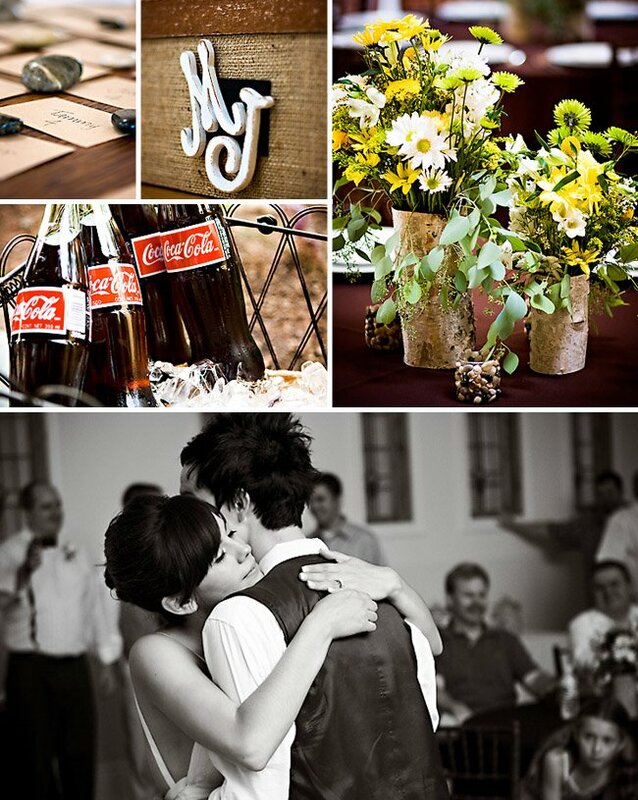 this is how i’d love to do my own wedding – not a single detail too overdone, but so many sweet little pieces. adorable. such a cute wedding. and the shoes at the top are perfecto! Where did these shoes come from??? I need them!!!! Oh, my goodness. 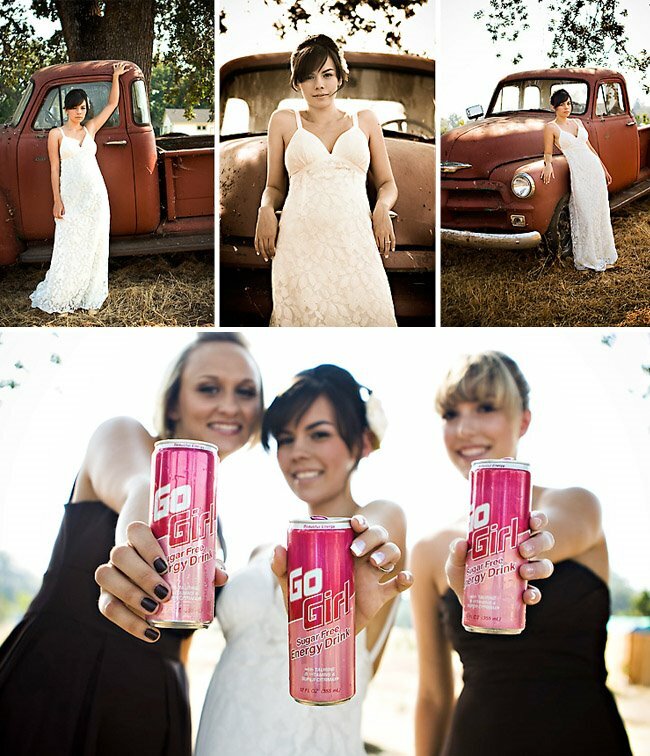 This wedding is perfect. I say that all the time, but I REALLY MEAN IT this time. :) And the rocking chair picture? So adorable. Getting married in the Newport Beach area…I want a photographer that knows the area well so that we can take amazing photos around town or whereever…suggest anyone? anyone know where her dress is from?